European Forum - Zadig in Belgium – "Discourses that Kill"
European Forum organised in collaboration with the Réseau Interdisciplinarité-Société (Ris) of Saint Louis university, with the support of the Ecole de la Cause freudienne (ECF) and the New Lacanian School (NLS), and under the auspice of the EuroFederation of Psychoanalysis (EFP). Everyone, if such an expression is sustainable, would no doubt want the Nazi concentration camps to be a horror without tomorrow. Dr. Lacan, for his part, was without illusions and considered instead that their emergence, which introduced a rupture in History, represents the reaction of precursors to the social changes engendered by globalization and brought about by science. “Our future as common markets -he wrote- will be balanced by an increasingly hard-line extension of the process of segregation.” (1) Today, in Europe, we are there. The erasure of geographical and cultural boundaries has been accompanied by an escalation of statements promoted by the enemies of the human race in the 1930s. These have spread, while becoming banalised, in the discourses that found the social bond. The consequence is a radical rejection of the foreigner[l’étranger] by violent and criminal actions that have become daily. 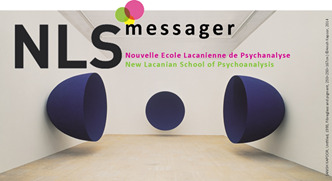 (1) Lacan J., “Proposition of 9 October 1967 on the Psychoanalyst of the School”.